Hi everyone, I’m back again, and with a new kit. 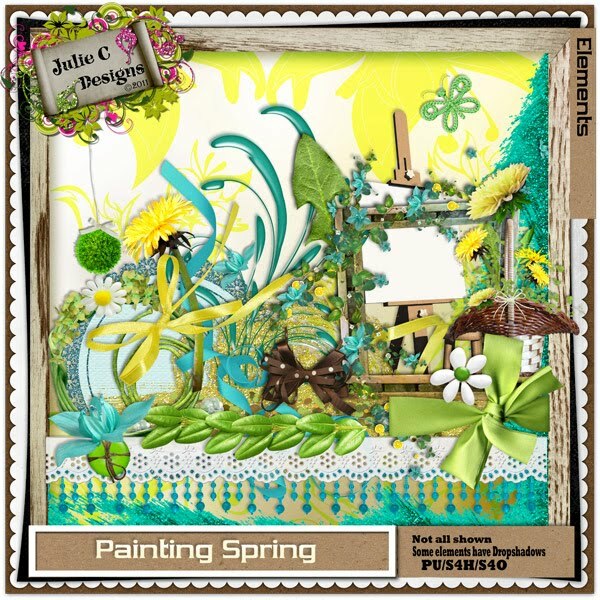 This one is called Painting Spring, I love the bright colours, I hope you all enjoy it to. Thank you so much for this post. I want to let you know that I posted a link to your blog in CBH Digital Scrapbooking Freebies, under the Page 8 post on Apr. 13, 2011. Thanks again.